We're here to help make your job easier by providing Lean Manufacturing PowerPoint Training Presentations, training videos, and templates you can download on a variety of topics. Whether it's a Lean Transformation, Six Sigma Deployment, or a Voice of the Customer Program, we've got your back so you can focus on on the business of improving the customer experience. Shmula Guide to the Toyota 7 Wastes This is our guide to the 7 Wastes. 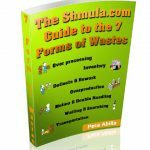 This eBook is 25 pages long and explains the 7 Wastes and shows how they manifests themselves in various industries such as Human Resource management, Paid Search Marketing, Healthcare, Medical Records Management, Environmental Management, and others. 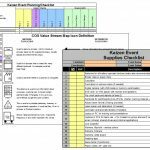 Point Kaizen Event Guide Point Kaizen Event Guide - a checklist to help you manage your Kaizen from beginning to end. Get it FREE. Chi-Square Analysis Template The Chi-Square analysis template is an easy to use template where you can plugin in your categorical data and conduct analysis using the Chi Square distribution. This hypothesis test is especially relevant for Present/Not Present analysis. RACI Template The RACI Template, sometimes referred to as RASCI, stands for Responsible, Accountable, Consultant, and Informed. It's an easy and effective approach to managing projects and action items. Portfolio of Initiatives This is a PowerPoint template of a classic Mckinsey strategic and tactical tool to map initiatives against variables important to the firm. Action Plan Template This is a basic action plan template, focused on getting things done. 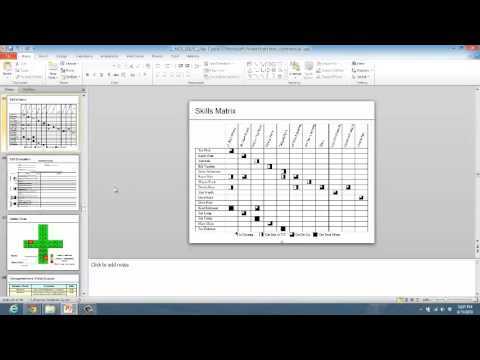 Solution Selection Matrix This is an excel template to rank and prioritize potential solutions to verified root causes. 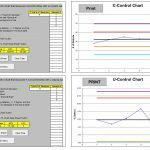 Run Chart Template A run chart is one of the 7 quality tools. This template will help you quickly create one. Stakeholder Analysis A template to capture stakeholders and ability to rank them by influence. Critical to Quality Basic template to capture critical to quality, focused on the CTQ tree. SIPOC Suppliers, Inputs, Process, Output, Customers - template to help you build a SIPOC. Suggestion Form An example suggestion form for your employee suggestion program, focused on the 5 Whys. Lean A3 Form Example An actual A3 from my time at Toyota. ECRS Template Eliminate, Combine, Rearrange, and Simplify - ECRS template to help you. Customer Journey Map Template to help you capture the process, moments of truth, and emotional dimension of the customer's journey. SWOT Analysis Strengths, Weakness, Opportunities, and Threats template. 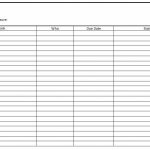 Checksheet Template A basic Checksheet template to help you get started. Value Stream Map Symbols Need symbols for you PowerPoint Value Stream Map? Get it here. FMEA Excel Sheet Failure Mode Effects Analysis (FMEA) Excel Worksheet that calculates and prioritizes failure modes in your process. Attribute Gauge R&R Spreadsheet that allows you to collect and analyze and report on a Gauge R&R Test. Paired T Test and Regular T Test Excel spreadsheet that automates the Paired T Test and also the regular Student's T Test (non paired). Histogram Generator Spreadsheet that automates the creation of the Histogram. Pareto Chart Generator Excel sheet that automates the creation of a Pareto Chart. Just enter your inputs, and the chart is generated. Checksheet Generator Spreadsheet that automates and steps you through the creation of a checksheet. In all honesty, it's probably faster to create a checksheet by hand or in excel from scratch, but this may be helpful to some. Fishbone Diagram Generator Excel spreadsheet that automates the helps you step through the creation of a Fishbone diagram. What you might find is that paper and pencil will be faster any automated tool. But, we provide this template just in case. Gantt Chart Generator Excel spreadsheet that automates the creation of a Gantt Chart. Control Chart: Cumulative Sum Cumulative Sum control chart generator. 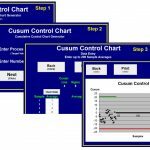 If you don't have SigmaXL, JMP, or Minitab, then this template will help you create a CUSUM Control Chart. 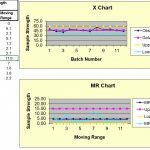 Control Chart: XBar/R XBar and R Control Charts can be created with this excel spreadsheet. The sheet steps you through the process. Control Chart: EWMA Chart Excel sheet that steps you through the creation of a exponential weight moving average (EWMA) control chart. 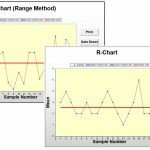 Control Chart: C-Chart / U-Chart A C-Chart and U-Chart excel generator. 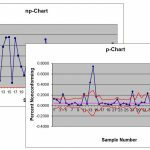 Control Chart: PChart / NPChart P-Chart and NP-Chart spreadsheet that automates the control charts. Just enter you data and generate. Control Chart: XMR Chart XMR Control Chart spreadsheet that produces your control chart. All you have to do is enter your values. Communication Toolkit This simple and effective template will help you design a communication plan for your stakeholders. Business Unit Objectives Alignment Worksheet Document will help you identify the business unit objectives and key metrics so that you can align lean and six sigma projects to the what is important to the business unit. Communicators Form Worksheet This worksheet helps you identify all the stakeholders and the level of communication each needs to provide or receive. Very helpful worksheet and, as we all know, communication can either make or break your lean and six sigma project. Variation Journal A simple template that allows you to enter instances of variation in your process in a simple and structured way. Y=F(x) + e Worksheet This is a template that allows you to enter input and output and error data in the format of Y=F(x)+e. Six Sigma FAQ Worksheet with questions that will allow you to create a FAQ page for your department or company. Kaizen Newspaper Template worksheet to record daily management kaizen - Kaizen Newspaper. Before and After Kaizen Worksheet Variation on the Kaizen Newspaper, showing Before and After. Hoshin Kanri X-Matrix Template Hoshin, or strategic deployment, is the Lean approach to management, ensuring there's alignment throughout the organization. One tool used in that approach is the X-Matrix. Download to learn more. Queueing Analysis Template Excel spreadsheet that allows you to enter Queueing information and apply Little's Law to your queueing operations. Prioritization Matrix Simple spreadsheet that helps you to prioritize your projects based on criteria you set. Lean for the Environment Toolkit that shows how to implement lean within the context of the environment, with case studies and many examples.